Pink Milk: All The Fun Of The Fair? Hope you're all well and have had a lovely weekend. I'm feeling a little sorry for myself today. We took the blondies to the fun fair yesterday and I got talked into going on a ride with blondie son and his friend. It was a sort of hideous spinning/flinging affair so I don't know what possessed me! I had to sit on the outside edge of the seat being the largest and consequently had the combined weight of two eleven year olds (eleven stone) repeatedly flung against me at breakneck speed. Long story short, I have ended up with very sore ribs and a wrenched shoulder. Note to self, at 38 years old, I'm too bloody old for fun fair rides. Never again. 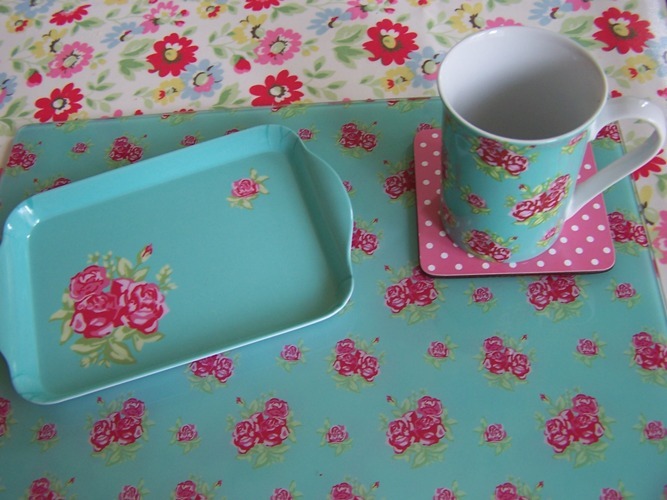 The mug, coaster and dear little tray were part of a set. I think I shall keep the tray in my bathroom. My favourite being "I'd rather have flowers on my table than diamonds around my neck". Ooh, talking of flowers, I want to put my Cath Kidston feather eiderdown away for the summer but should like to clean it first. It cost £25.00 to dry clean last year. I'm sorely tempted to wait for a sunny day (she says casting her eyes at the grey gloom outside the window) and hand or machine wash it. Do you think I'd ruin it? I'd love to know your thoughts and experiences. Loving the purchases - and think your felt flower pictures are wonderful - please sell them through your Folksy shop - I'd love the one with the diamonds quote!! I hand washed mine and it took forever to dry, I would get it dry cleaned next time. Hope you recover soon, I used to love the rides but not anymore, perhaps it is our age. Our fair is due next week and will be a 5 min walk from me, I will NOT be going lol. Poor you, I hope you are getting out of some domestic drudgery!! 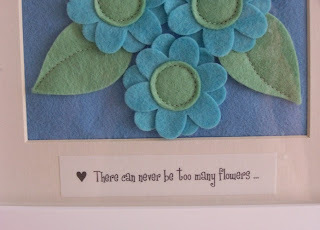 Lovely finds, very you I think and very pretty felt flowers, I'm sure you'll sell loads. I ruined swanky cushions line drying once as the feathers took too long to dry so I would be wary in case of weeping over a ruined blanket. I have the same dilemma over my sofa covers......could cost lots and lots of tenners to dry clean but I'm scared of washing it myself. p.s if you liked the knitted squirrel you must look at the badger with his little satchel and book. Hope you are feeling a bit better today!! 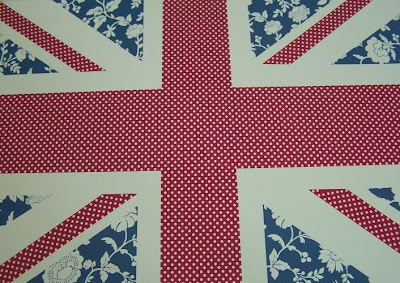 Lovely buys!! Tesco had had some great stuff lately!! Tesco's have come up trumps again! Those tins are fantastic. Hope you're feeling better now. PS - your felt pictures are really pretty. 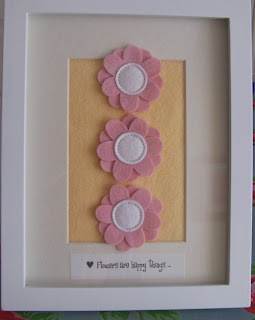 I love your felt pictures and that worktop saver is gorgeous. 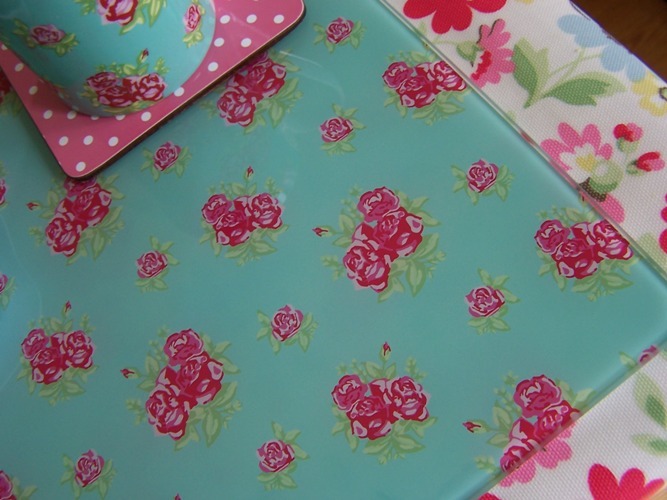 gorgeous goodies! 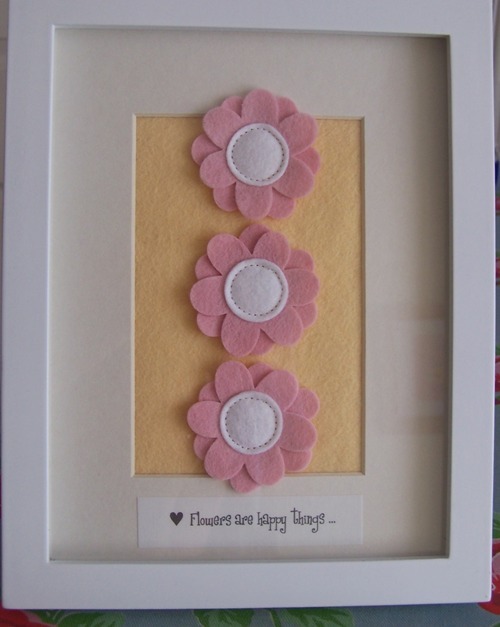 gorgeous makes too - did you use a cutter for the flowers or hand cut them as they are so precise? 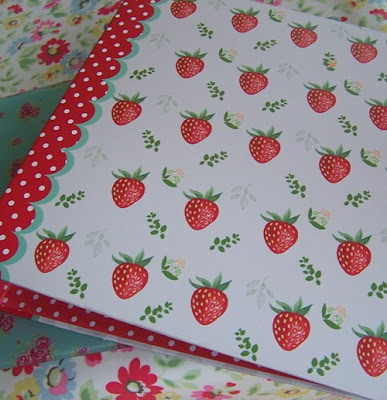 Re the cover - hhhmm I never use the dry cleaners and always pop things in the machine on a hand wash mode and haven't had a problem yet (not done this with a cath kidston eiderdown though) but it should be fine i would think. You would need to pop it out on a windy day though to make the feathers all fluffy again. 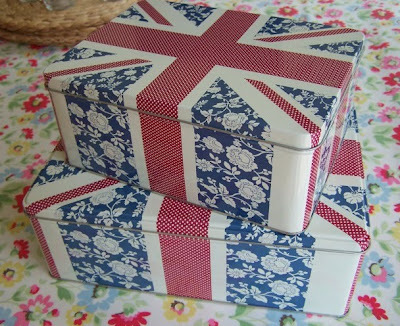 I bought those union Jack tins!! tescos can really pull out some nice things can't they? Your pictures are fab. 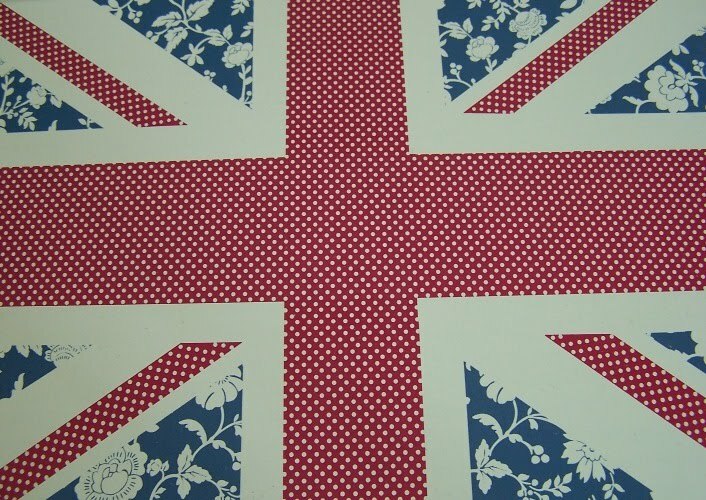 Love all the union jack stuff, tesco have some good stuff in at the moment. Read my post about the fun fair, I know exactly what you are talking about. The thought of a fast ride fills me with fear. Your pictures are so sweet, hope you made lots as I bet they sell like hot cakes! The tesco store near me is rubbish so will have to travel me thinks cos they are soooo nice. Of course you may join my Boudoir Swap Darling, will be great fun and thanks for joining.